This is a gorgeous, large crystal heart pendant, complimented by a bright little highly detailed gold leaf. 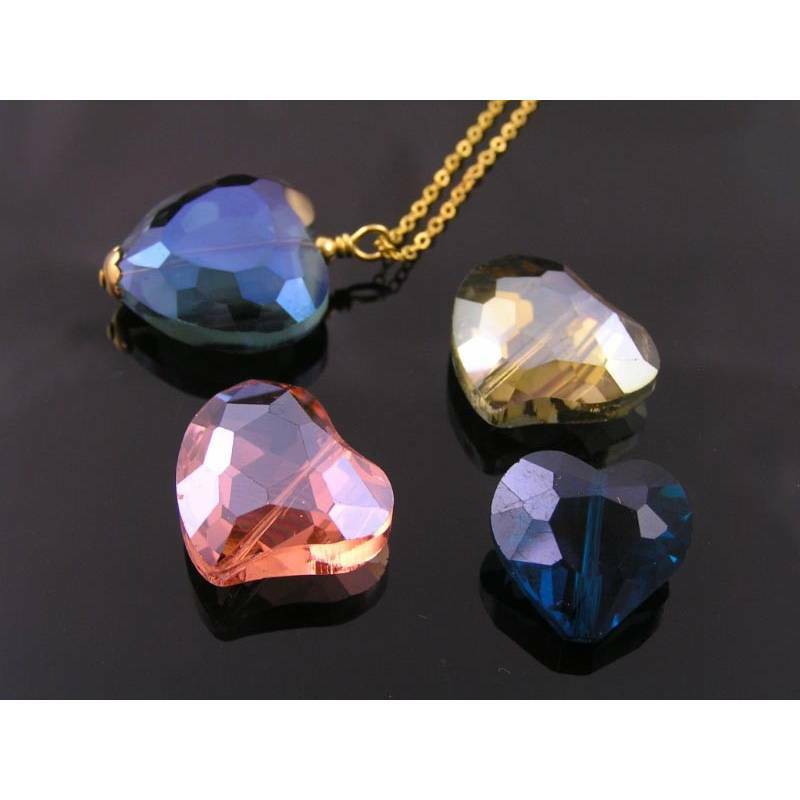 The heart is dark blue, but has a metallic coating to shimmer in all colours of the rainbow. The heart measures 2cm in height and nearly 2.5cm across. 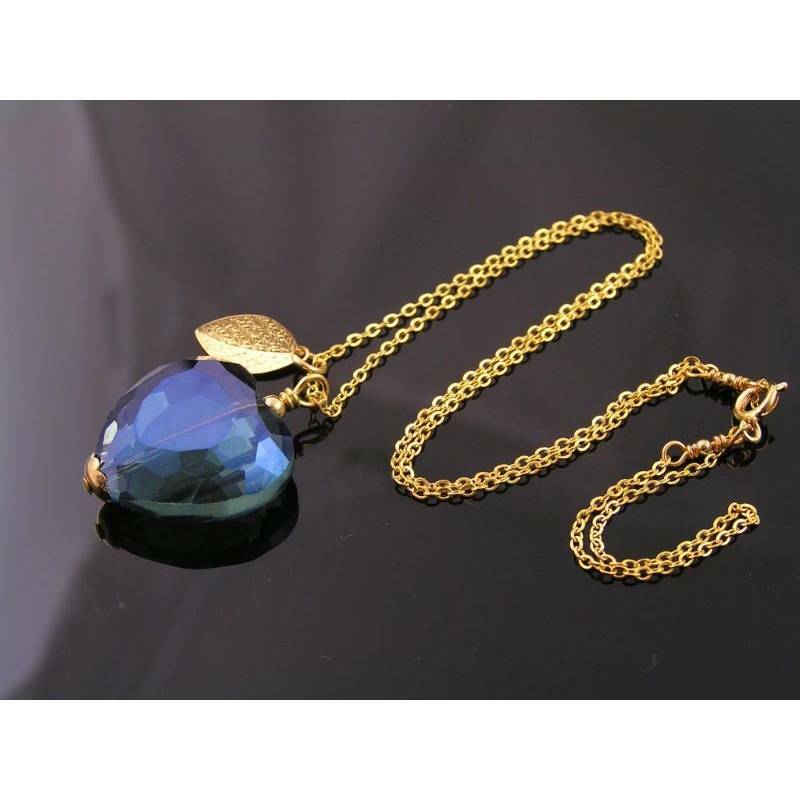 It is attached to an 45cm trace chain which closes with a traditional spring ring clasp. All metal is solid brass which a genuine gold coating. This is a higher quality gold tone version. - Custom Options - Please contact us BEFORE purchase to discuss availability and price. - The last photo shows other hearts I have available (green, pink and smaller blue). - Other metal options are: sterling silver, copper, antique copper, antique brass and silver tone (with different chain/leaf options).